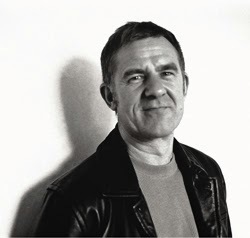 Graham Joyce died earlier this week. I only met him the once, at World Fantasy 2012 here in Toronto. I was at the bar, chatting with a couple of Australian writers I know when Graham came over. He knew them both quite well, and they introduced me. I liked Graham right away; he reminded me of a beloved professor from my undergrad days. He had a kind face, dominated by a big nose, and a great working-class accent. I seem to recall him lugging around a box of books for some reason. He struck me as quintessentially British. We talked a bit about writing, and a great deal about Toronto. I remember a good sense of humor, and a wonderful squinty-eyed laugh. And then he was on his way. I’d never read anything he wrote, but I decided that I should pick up some of his work simply because he seemed like such an all-around nice bloke who’d taken the time to have a nice conversation with a nobody author 20-years his junior who happened to be sitting with a couple of guys far more successful who were his contemporaries. Later at the annual “what we liked this year” panel that some of the major editors always do at WFC, Graham’s book Some Kind of Fairy Tale kept being mentioned (indeed, it was a finalist for the World Fantasy Award the very next year) and I took it as a sign that I really did need to read it. And there it sits still on my shelf. I bought it at the dealer’s room that same day four years ago…and haven’t cracked it open. And I feel a strange guilt about that. I’m a notoriously slow reader and I have a HUGE pile of books in my “to read” pile. But now that Graham Joyce is dead– I dunno. I’m feeling some kind of regret that I didn’t read it sooner. Maybe I would have sent him a fan letter? I dunno. I don’t pretend to have known him, and there’s zero reason he would have had to recall me from our brief conversation. But I feel deeply saddened by his passing. Having read a bit more about him this week perhaps there are reasons. He died too young, first off. Not even sixty–in this day and age! He began writing around the same age I am now, and published more than 20 books before he died, being awarded the British Fantasy Award an extraordinary seven times. He died of lymphoma, leaving behind a wife and two children. With the recent birth of my second child, I confess to more than a passing fear of dying suddenly and leaving my wife all alone to raise the kids. And as someone whose family has been touched by lymphoma (though a much slower form) his diagnosis hits more than a little close to home. It could be anyone of those reasons, I suppose, thought they all came after the fact. Truthfully, when I heard the news I was sad because a guy I’d met once and shared a pleasant half-hour or so with passed away too young, and that doesn’t seem fair. As it happens, I’m between books right now in my alternating fiction/nonfiction/fiction cycle. So tonight, I’m going to settle into bed with Some Kind of Fairy Tale at last and remember with fondness my passing acquaintance with the talent that wrote it. Rest peacefully, Graham. I for one will miss you.